Steven Gerrard has paid tribute to the Nordoff Robbins music therapy charity after receiving the 2017 Legend of Football Award in London on Monday night. The former Liverpool midfielder received the award from his former manager, Gerard Houllier, in recognition of a glittering career, during which he scored 120 goals in 504 top-flight appearances. 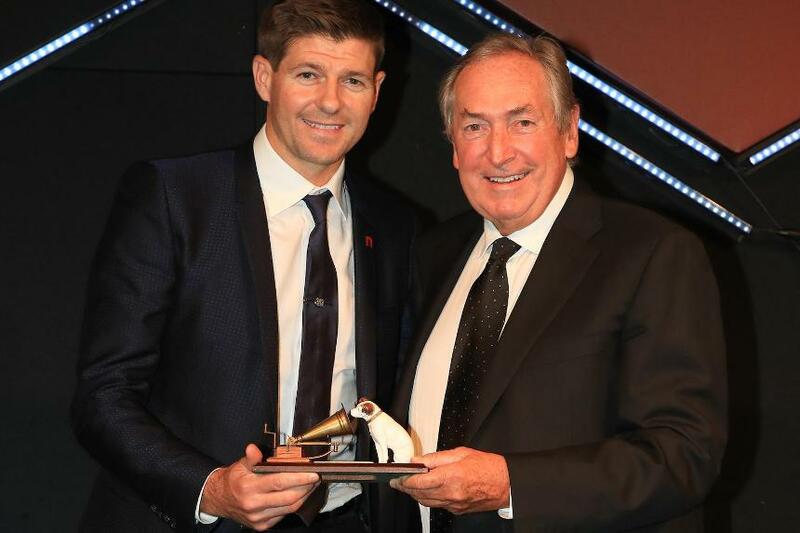 The Legends of Football evening, sponsored by hmv, was held not just to honour Gerrard's achievements but also to raise funds for Nordoff Robbins, which makes specialist use of music to facilitate physical and emotional wellbeing for hundreds of people with disabilities. "I'm really proud to support their cause," Gerrard, who saw the charity's work in action last week, told Liverpool's official website. "I didn't realise until I visited the centre how important music is and the effect it has on people with the likes of autism and dementia, and how much it helps the people themselves but also the families to give them a bit of rest and happiness." Legends of Football has been running for 20 years, raising more than £7m for Nordoff Robbins. The evening was a great success, raising £435,000 thanks to the generosity of Liverpool FC, who sponsored the dinner and, with other Premier League clubs, offered an amazing array of prizes. "Legends of Football is now a permanent fixture in the football calendar and contributes to the fantastic work of Nordoff Robbins," said Richard Scudamore, Executive Chairman of the Premier League, a long-term supporter of the event. "Every club would love to have their own Steven Gerrard. His outstanding achievements with Liverpool FC make him a worthy recipient of this year's Legends of Football Award."